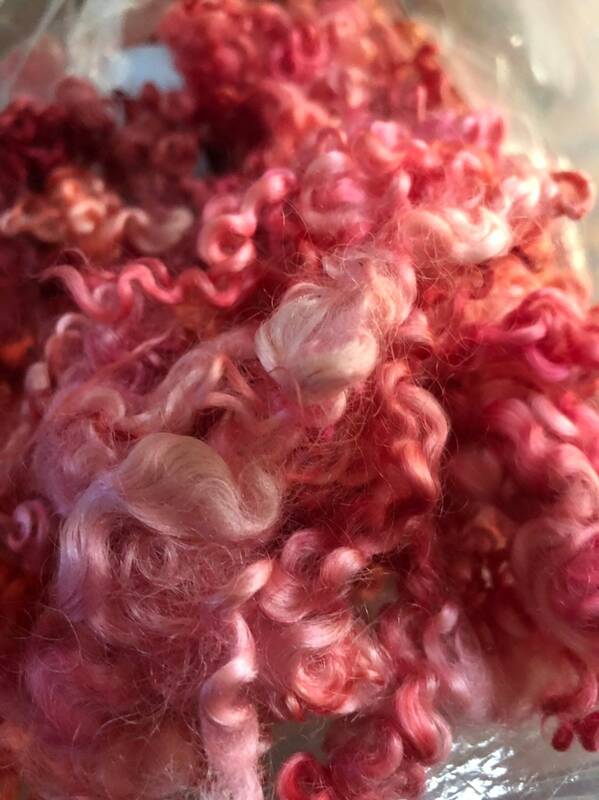 Dyed Locks Teewater "Blushing Rose"
This is a collection of beautiful hand dyed locks that I had been hoarding for myself. 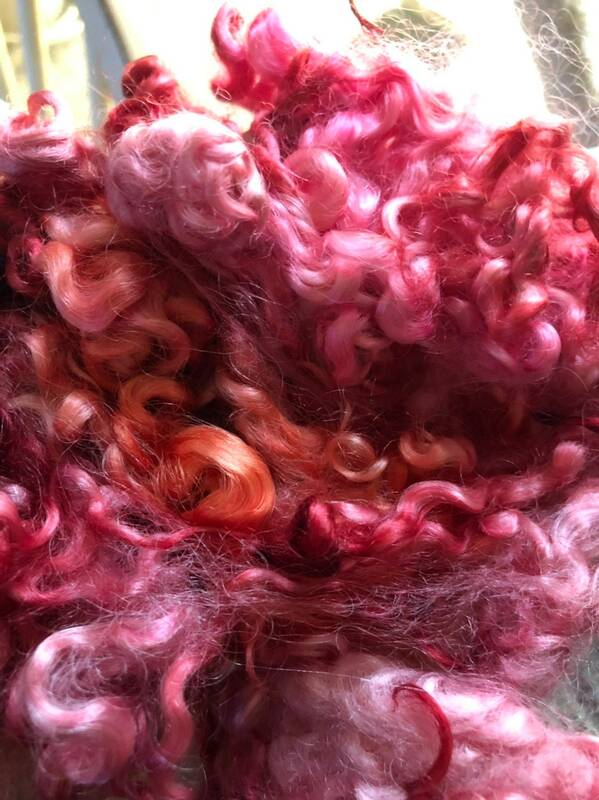 I have too many projects right now and have decided to offer up this gorgeous fiber! 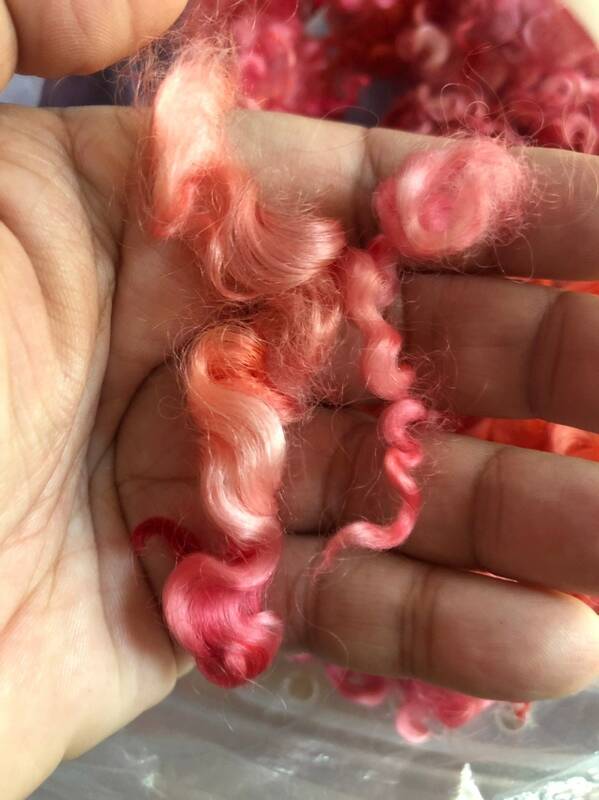 These Teewater locks are dyed every shade of rose, pink and coral! 3"-6" staple length, very curly, soft and clean. Available in 2oz bundles simply add as many as you like to your cart.